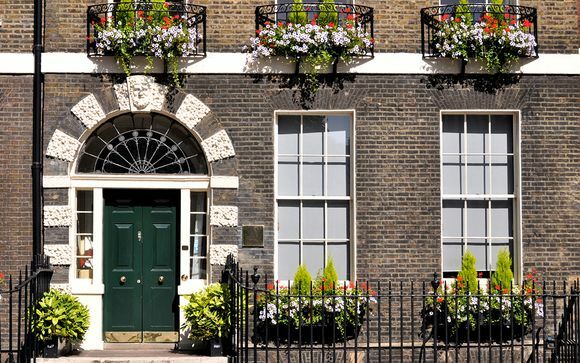 Enjoy your time in historic central London while staying at a classical Edwardian Hotel. The Thistle Holborn, the Kingsley, enjoys a prime location in the heart of the West End. Enjoy your stay in a Deluxe Double Room and relax in elegance after a day exploring the capital. London's iconic mix of grandeur, history, style and culture never ceases to entice visitors and culture vultures from across the globe. Charming with leafy Royal parks, world-class art galleries, wood-clad pubs; intriguing with ancient streets and grand architecture, and ever more exciting with the neon-lit West End, designer shopping and an innovative dining scene that has become one of the richest in the world, London has something for everyone. A city brimming with iconic British emblems and sights, London unites a colourful history and timeless traditions with boundary-pushing creativity and true multiculturalism. Here, you can explore one of its glorious food markets or, when the weather is right, relax and unwind in a soft green park. From the thousands of world-famous treasures in the British Museum to the hustle and bustle of Covent Garden, your stay at the Thistle Holborn, the Kinglsey, provides guests with a wonderful perspective on the capital. 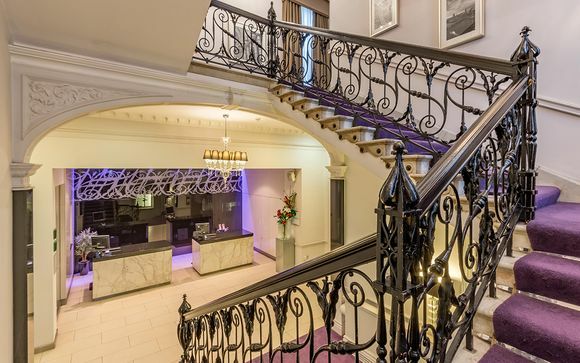 Thistle Holborn, The Kingsley, provides guests with a wonderful perspective on the capital. From the hotel, London landmarks like the British Museum, Covent Garden, Oxford Street, the leafy squares of Bloomsbury and the West End theatres are within easy walking distance making it the perfect venue to explore London. Located in Bloomsbury, The Thistle Holborn, The Kingsley enjoys a prime location near London's greatest cultural landmarks. This classical hotel has 129 bedrooms all decorated in a blend of contemporary comforts with Edwardian charms. Here you will also find a tempting hotel restaurant offering upscale European and British cuisine, a chic hotel bar, and room service is available should you wish to completely relax and unwind after a day of exploring the capital. This offer is based on a Deluxe King Room. 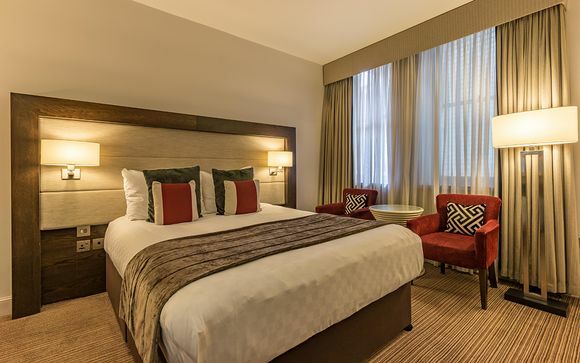 Whether you’re in London on a short break, a romantic weekend, or a family occasion, your room at Thistle Holborn, The Kingsley has everything you need for a relaxing, comfortable stay. Your King Room will have air conditioning, bathrobes, bottled water, coffee and tea making facilities, complimentary toiletries, flat screen LCD TV, hairdryer, IPod Docking station, ironing board, mineral water, safe, slippers, sofa bed, seating area, and 24 hour room service. This offer is based on a room only stay. Members wishing to add a breakfast option may do so at the next stage of booking. 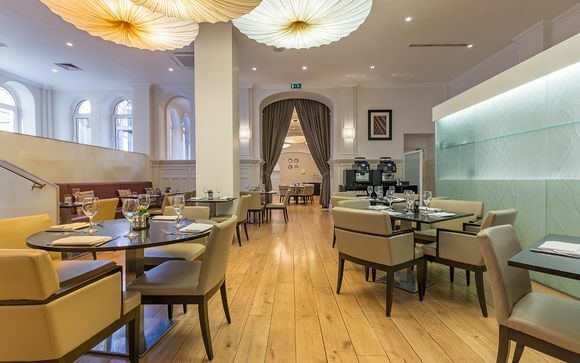 At The Kingsley Two Brasserie you have a choice of dining right through the day and on into the night. Relaxed and welcoming, the Brasserie has an enticing menu featuring a wide range of British and European dishes, complemented by an extensive wine list. Open daily: 17:30 untill 22:30 (On Sundays the Lounge serves both Menus). The bar serves a wide range of drinks, snacks and light meals in informal surroundings – perfect between meetings, after work or before dinner. If you’re starting early, or staying up late, the hotel's full room service menu means you can always get hold of a drink, snack or light meal, even out of hours.